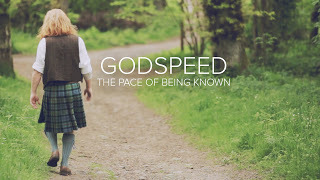 Over the past few months, I've watched the short film, "Godspeed," three different times. Each time, I've found myself unexplainably crying. There's a deep longing in me to live life at Godspeed, to ruthlessly eliminate hurry. Perhaps you too have experienced that longing? Maybe, as the weather is changing, you're currently stuck in bed with the flu? Take 35 minutes to sit back and ponder what God would have to speak to you. Maybe you could even gather with your Young Life team or area to watch the film together. It's almost as if it was made for Young Life leaders.